Z Cam E2 Starts Shipping To Customers! 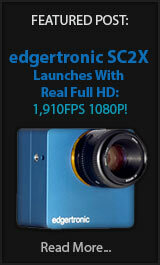 The Z Cam E2 has finally started shipping and is now available for direct order at their site. The camera caught our attention for its low price of just $1999 and the high frame rate features of 240fps 1080p and 120fps 4k. It seems to be using the same 4/3 sensor as the great Panasonic GH5s but with extended features. Z Cam E2 Best Value 4k Slow Motion Cam? Z Cam the relatively new Camera company from Shenzhen, China has announced the Z Cam E2 at NAB 2018 MSRP $1,999.00 USD. 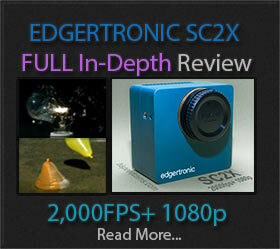 It is not a direct replacement for their ambitious but half-baked Z E1 m4/3 camera which costs $399. The new camera is a beast specs wise with up to 120fps 4k and full HD 1080p at 240fps. The codecs will be H.264 and H.265 at 10 bit but no RAW support so far which might be acceptable if the codec is clean enough and their promised Log Flat curve preserves the estimated 13.5 stops of dynamic range. Z E2 Camera Rumor of 4k 120fps! The Z Cam E1 which delivered excellent quality 4k footage from a tiny package and was able to do 720p 240fps frame rates “at less than ideal quality”, however, a new Rumor from 4/3 Rumors here shows a Twitter message that hints at a new Z E2 m4/3 camera that is able to do 120fps at full 4k resolution. If this turns out to be true it could yield further performance improvements in 1080p and 720p along with higher quality that could be usable.